Patello-Femoral Dysfunction & Patellar Tendinitis (Jumper’s Knee): Patellar tdinitis is an injury that affects the tendon connecting your kneecap (patella) to your shinbone. The patellar tendon plays a pivotal role in the way you use your legs. It helps your muscles extend your lower leg so that you can kick a ball, push the pedals on your bicycle and jump up in the air. Patellar tendinitis is most common in athletes whose sports involve frequent jumping — for instance, basketball, soccer and volleyball players. For this reason, patellar tendinitis is commonly known as jumper's knee. 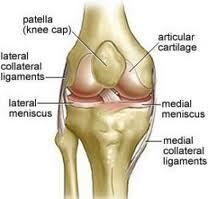 However, anyone can suffer from patellar tendinitis, whether a frequent jumper or not. For most people, treatment of patellar tendinitis begins with conservative approaches. Dr. Michael Horowitz offers a 5-Step process to successfully treating Patello-Femoral Dysfunction. He can help evaluate & diagnose your condition and recommend the best course of action for you. Call Vancouver Orthotics at 604-737-3668 for more information. What is the most effective treatment for patello-femoral dysfunction? What exercises & stretches do you recommend for patello-femoral dysfunction? What other symptoms are most commonly associated with patello-femoral dysfunction? What shoes are best for patello-femoral dysfunction? Where can I get medical hardware for patello-femoral dysfunction?